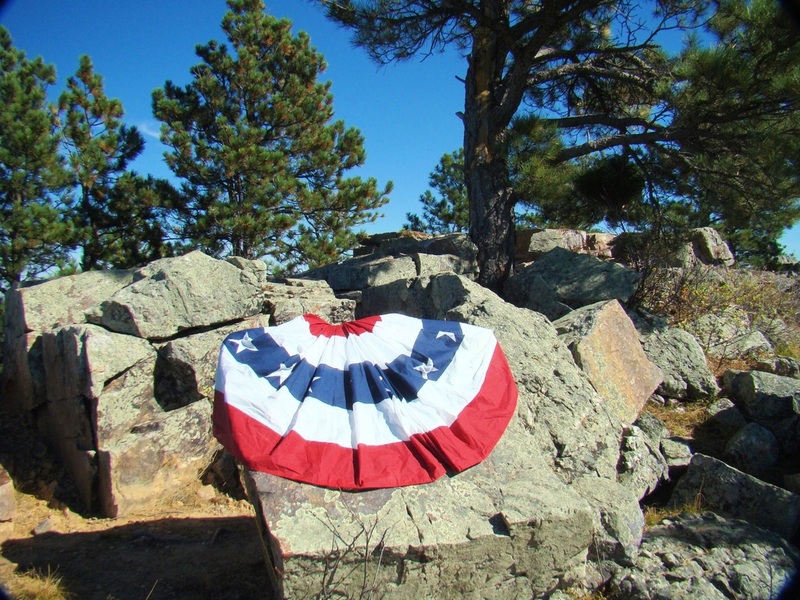 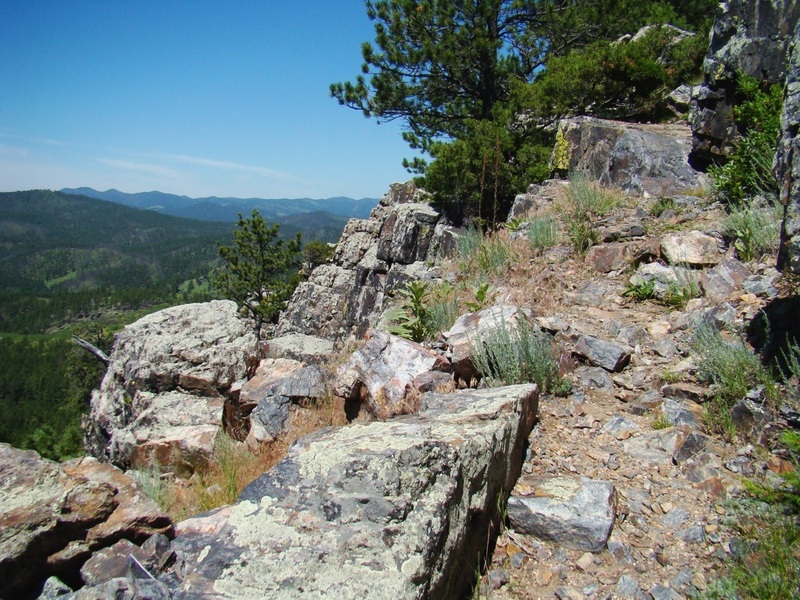 For those who enjoy some rock scrambling on a mountain summit, Boulder Hill provides some great opportunities. The official 1.6-mile trail to the summit goes around the east side through thick forest most of the way. 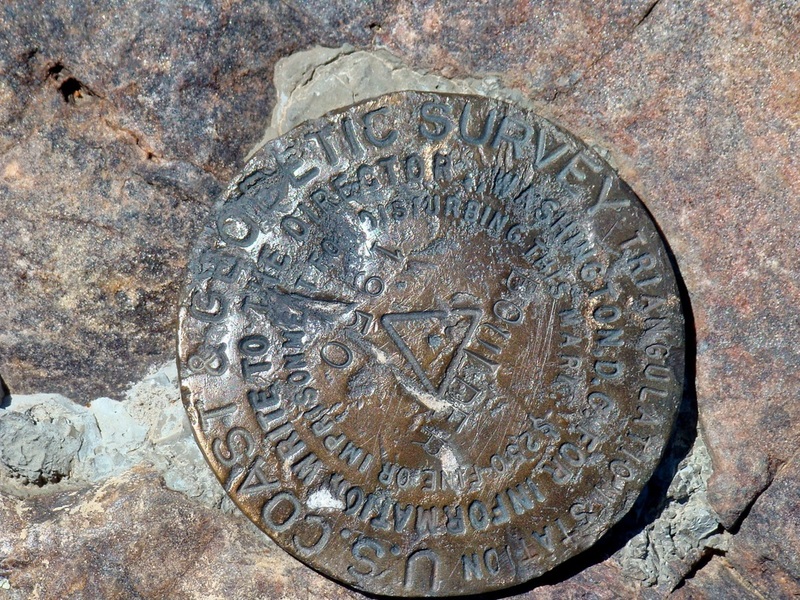 There is also an old forest service road, 358.1A that goes up the west side to the boulder area. 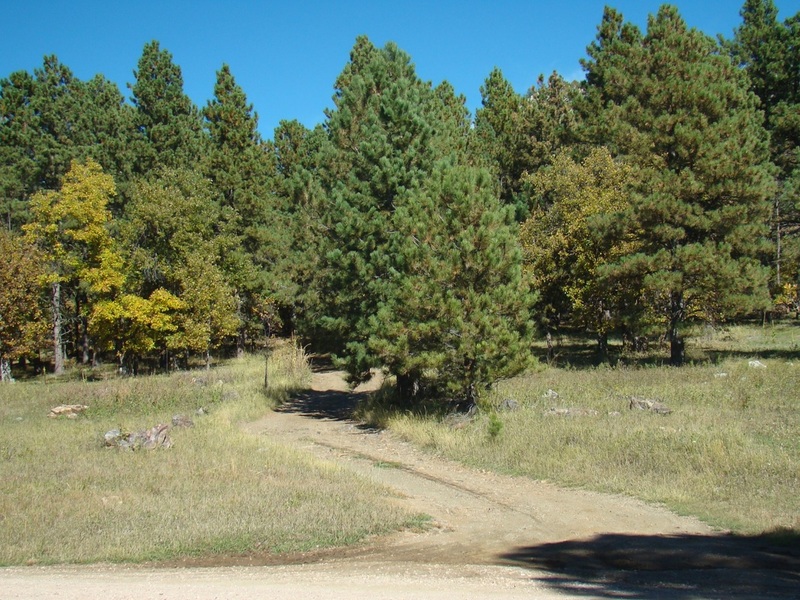 Though the forest is predominantly ponderosa pine, there are many oaks and some aspens there as well. 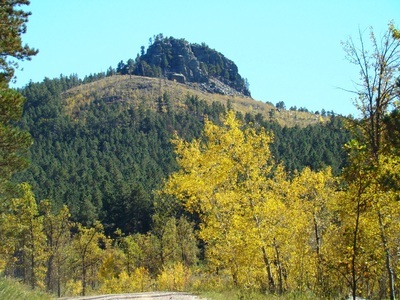 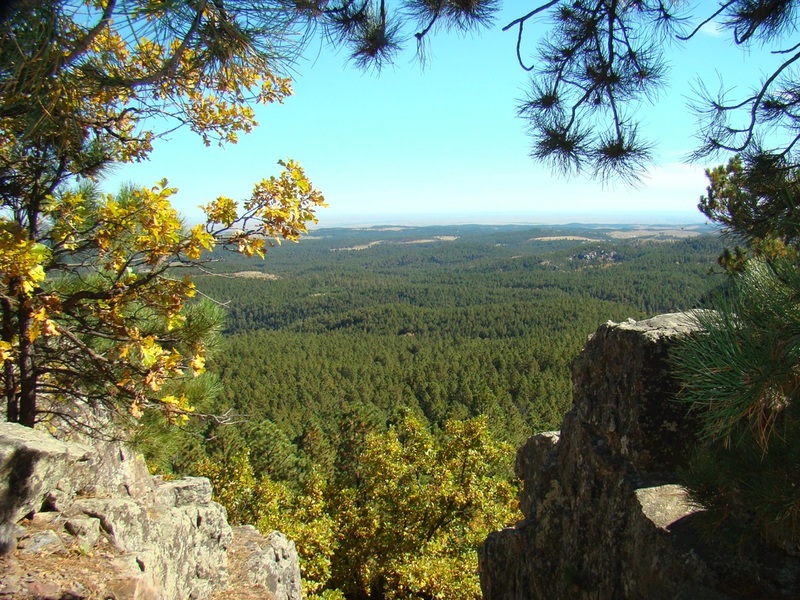 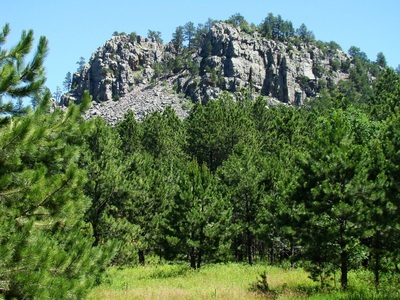 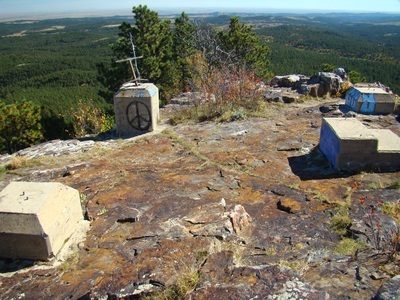 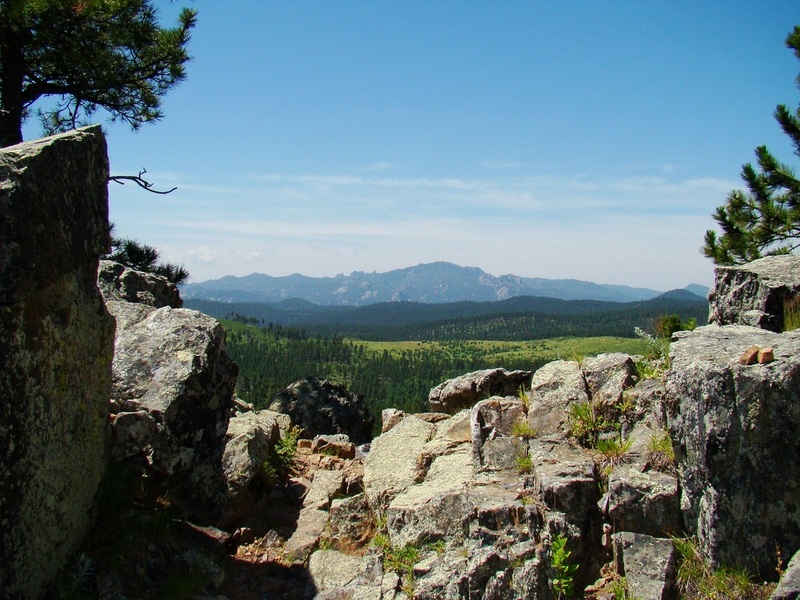 To get to Boulder Hill, drive about 15 miles west of Rapid City on Highway 16 to Silver Mountain Road, just west of Rockerville. 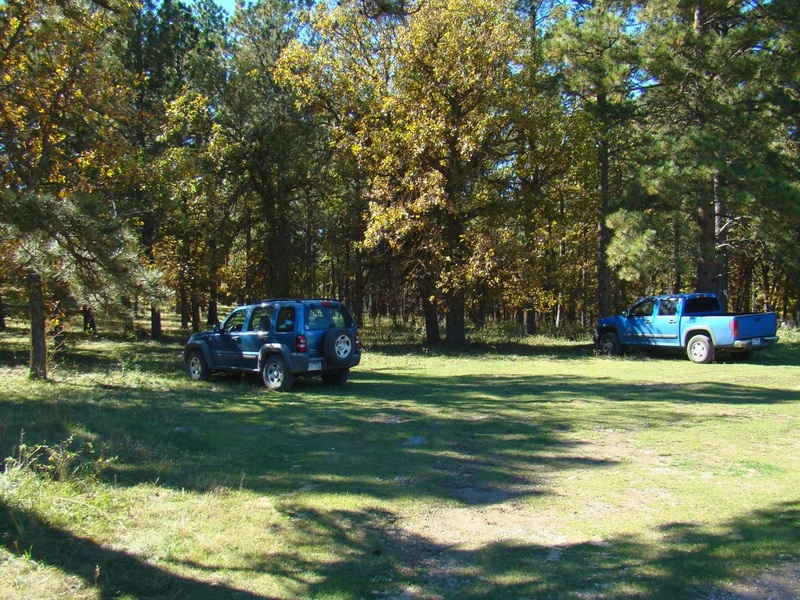 Turn onto Silver Mountain Road and travel to Boulder Hill Road (Road 358), then north 1.2 miles to the unofficial parking area for the old forest service road to the boulder area. 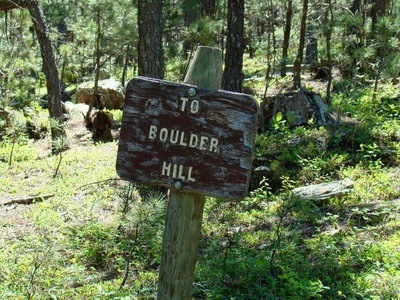 Or, you can continue on Boulder Hill Road for another 1.1 miles to the Boulder Hill Trailhead. If you are coming from Hill City, it is about 12 miles to the west end of the Silver Mountain Road, then just .1 mile to the Boulder Hill Road. 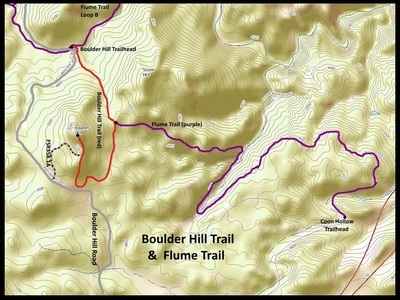 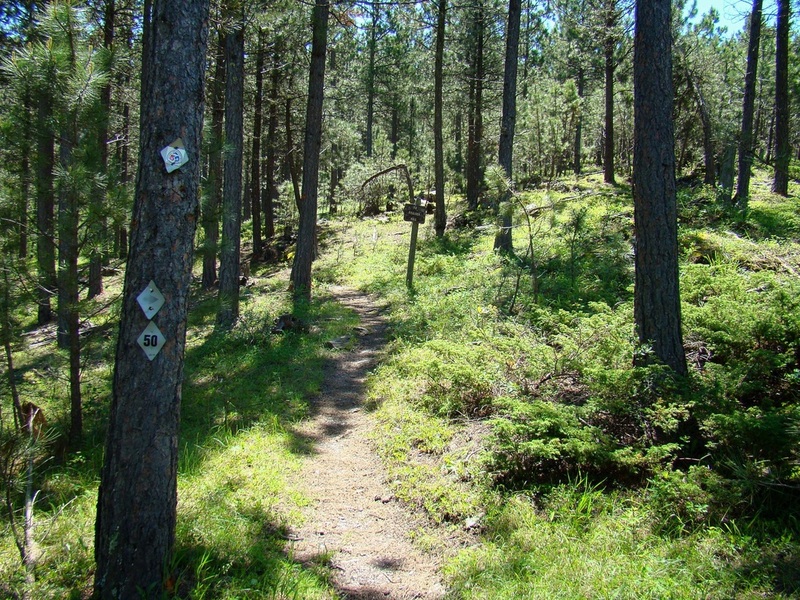 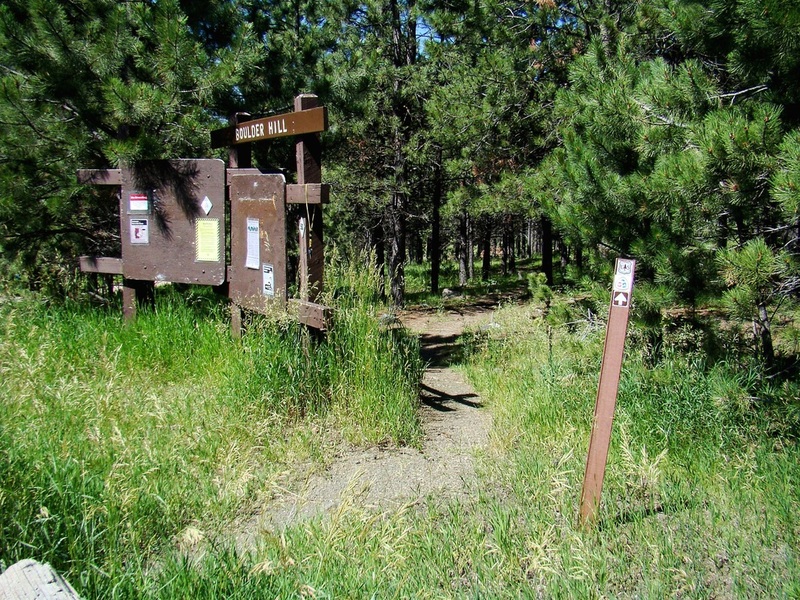 The Boulder Hill trailhead is part of the Flume Trail (Trail #50) system and is the start point of the Flume Trail “B” Loop. 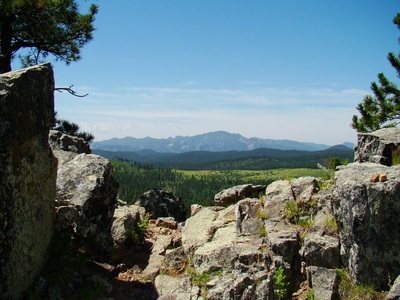 So there are often other hikers in the area, particularly on weekends. 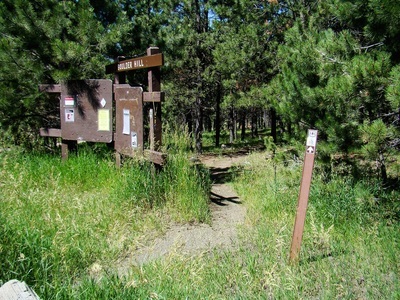 A trail route map is included in the photos below. With all the boulders on the summit, it's easy to see the mountain's name. 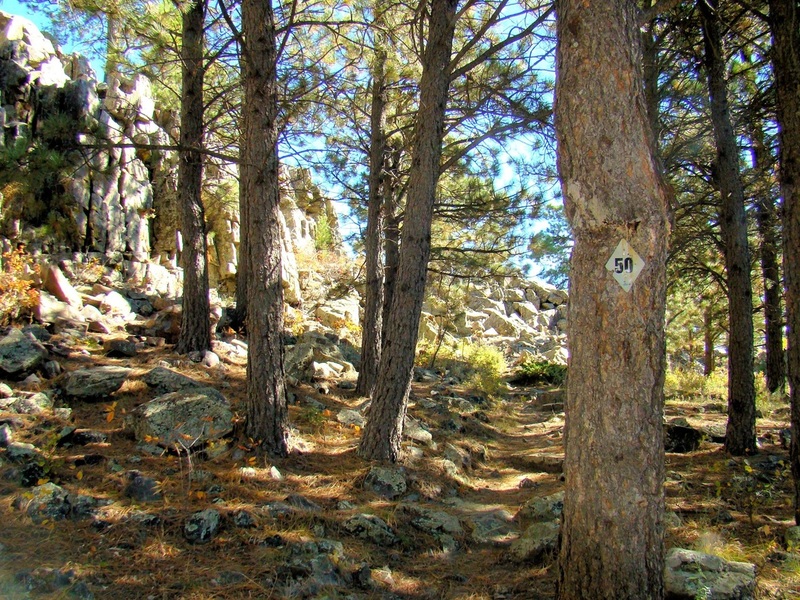 Forest Service Road 358.1A to the summit boulders.